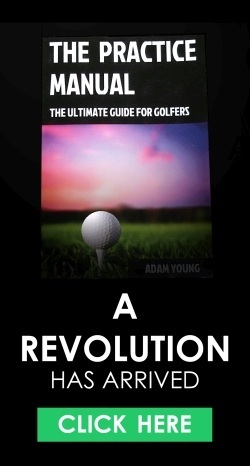 What if a simple change of focus could completely revolutionise your golf game, or ruin you as a golfer? 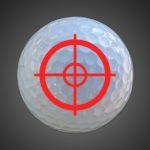 You may not be aware of it, but, as a golfer, you have many options for where you can place your focus. And luckily, there is a lot of scientific research on each different type of focus and its effects on learning, performance and transference to the course. In this article, we will look at what is called an internal focus of attention. I will not only give some of the research, but I will give my own personal opinion on it (as the research can be quite limited to the study parameters). What is an Internal Focus? Imagine you are throwing a ball into a bucket. It is very likely that you will be looking at the bucket and simply visualising it going in – this is an external focus. This is an internal focus. We are focusing on the movement itself, in particular, the body parts. In golf, internal foci could be having your attention on your left arm, your shoulder turn, hip movement, weight shift, head position, takeaway with the hands etc. 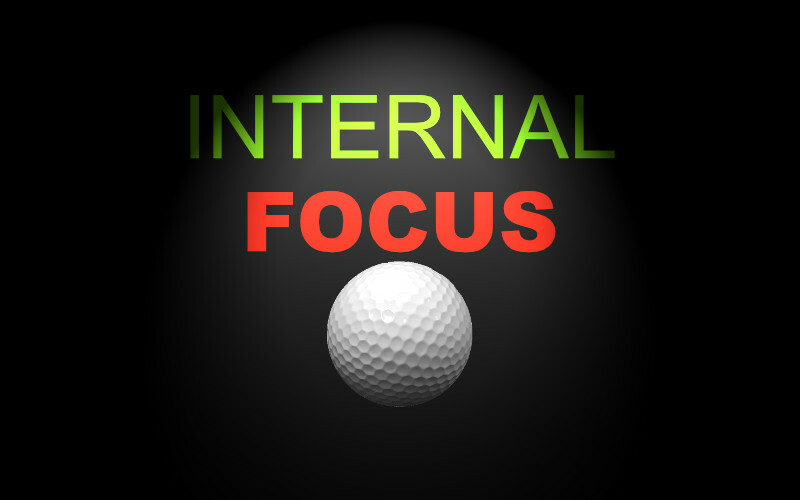 Over 95% of golfers I see on a daily basis have internal focuses of attention like this. And it’s easy to see why – turn on the television, pick up a golf magazine or book and you will be instantly inundated with internal focuses. 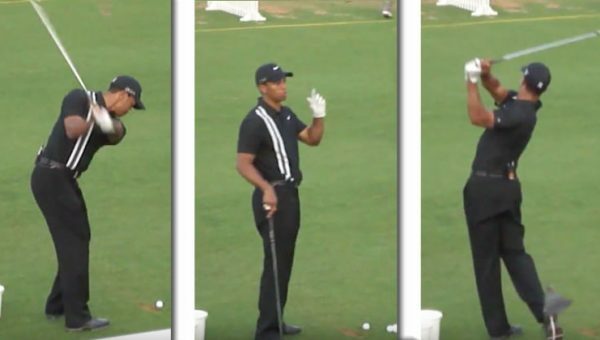 “Do X with your shoulders like Dustin Johnson, or do Y with your arms like Tiger Woods”. 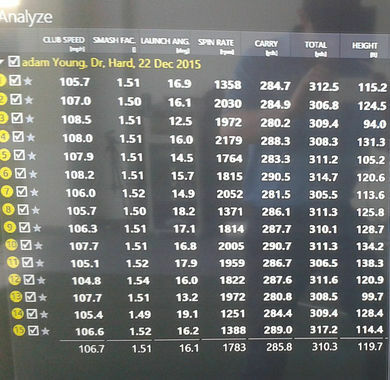 The golf industry is massively weighted in favour of internally focused information. The other week, I had a very analytical German student (now there’s a cliche if ever I heard one). I could see that he was playing poorly because he was inundated with too many thoughts – all of which were internal. In order to demonstrate this message to him, I asked him to throw 10 balls into a bucket nearby. He got 9 out of 10 in. Then I asked him about his movement. I asked him if he bent his wrist before he bent his arm, at what point in space he released the ball, did he use any wrist action at the point of release. I asked him to describe the motion to me. At first, he looked a little perplexed – when he was originally throwing the ball he clearly wasn’t thinking about the motion (interesting). After his mind was full of internal analysis of the motion, I asked him to throw another 10 balls into the bucket while focusing on the motion so he could give us a clearer explanation of what he was doing. The first ball missed the bucket by a couple of feet. He then proceeded to miss the next 7, before (clearly) flipping back to an external focus and getting the last 2 balls in. This time, he was able to give me a much better explanation of what he did in his motion (as he was more focused on it), yet his ability to get the ball into the bucket severely declined. I have done this trick so many times with students – it never fails. That’s right, it seems that how you perform, as well as retention of that performance is diminished with an internal focus when compared with an external focus. “move arm ‘this way’ (movement) versus “get the ball in the basket” (outcome). 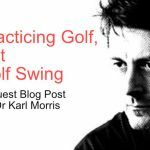 “move body ‘this way'” (movement) versus “hit the golf ball” (outcome). It’s similar to having a computer with only so much processing power – the more we direct the CPU resources towards an internal focus, the less processing power is available for other relevant information. As an analogy, imagine you are driving your car along a busy road and you discover there is a bee/spider/snake/lion/something you are afraid of in the car with you. Your attention would be diverted internally (into the car). Even if you have your eyes on the road, your brain will be thinking about where the (insert thing you are afraid of here) is, leaving much less attention available for the road – probably resulting in a crash. If your brain is not linking the movement to the external cues, we typically see a drop in coordination. In a golf swing, our body produces a massive amount of moving parts. Our brain acts as a central coordinator, organizing all of those moving parts (degrees of freedom). If our brain is not focusing on the task, it essentially loses sight of what it is trying to coordinate towards. E.g. 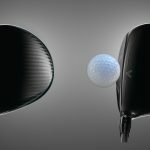 if you are trying to strike the middle of the clubface, your brain can work to organize all of the moving parts towards achieving that goal. However, an internal focus of attention disrupts the coordinative ability of the brain. This has been demonstrated in many scientific experiments. 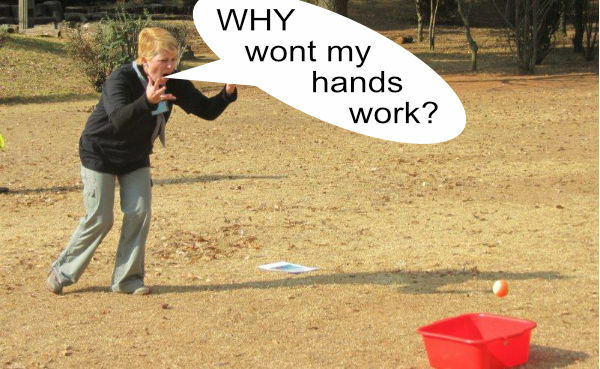 This is also why my German student lost his ability to get the ball in the bucket. Essentially, an external focus allows the brain to absorb all of the external information cues, and automatically work out/coordinate all the body parts to achieve the goal. However, this goal achievement is not always an instant thing. 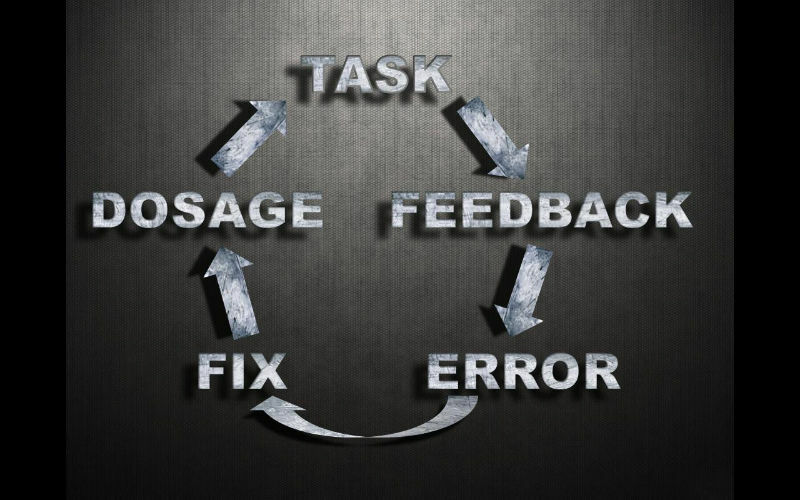 We still have to enter a Goal-Movement-Feedback loop. We still have to practice – but external focuses can speed up the learning. What most people don’t realise is that, when we learn movements, these movements get linked to the focus we learn them with. A mouthful, I know. Let me explain. Say you learn to hit chip shots on the practice area by thinking of keeping your weight on your left foot (internal focus). 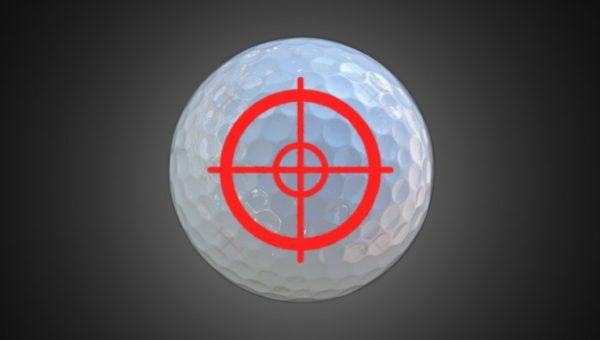 You get to a point where you are hitting the shots quite well – then you go out on the course. 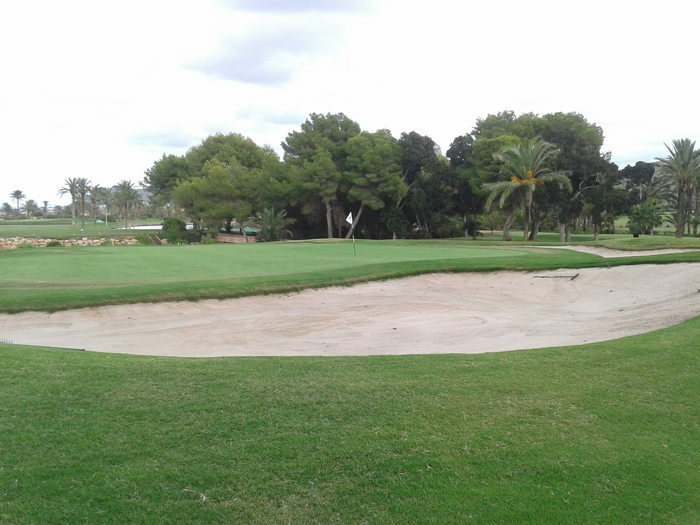 Your first chip shot of the day, you have a delicate shot over a bunker. Your mind immediately starts visualising the flight of the ball (external). As you stand over the shot, your eyes are looking at the ball, but your mind is still thinking about the bunker and flying the ball over it (external). Do you see the disparity – you learned with an internal focus, yet on the course, you are now thinking externally. You then proceed to produce a back footed scooping motion – because that is the motion your brain learned with the external focus of attention. So, if you have ever wondered why you can’t take your game onto the course. If you have ever wondered why all those repetitions you did immediately go out of the window, you now have a potential answer. 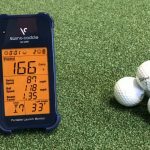 And when most golfers learn their games with an internal focus, yet flip to external when the result becomes important (such as on the course), we can now see why so many golfers struggle to transfer their game from the range to the course. we can see why learning, performance and transference can be shown to be poor with this type of focus. 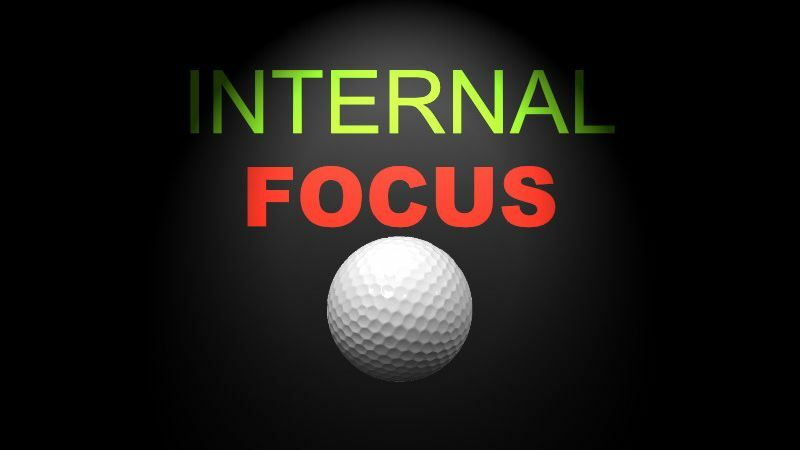 And, as most golfers out there use this type of focus, we can see why everyone struggles so much with this game. However, don’t throw the baby out with the bathwater. There may actually be valid uses for this type of focus, which I will explore here. Just because most of the research shows that performance, learning (retention of performance) and transference (performance in a game situation) is worse with internal foci vs external, doesn’t mean these parameters don’t improve at all. For example, a study may show that external focus of attention outperformed the internal focus – but internal focus may have shown some improvement over baseline values. 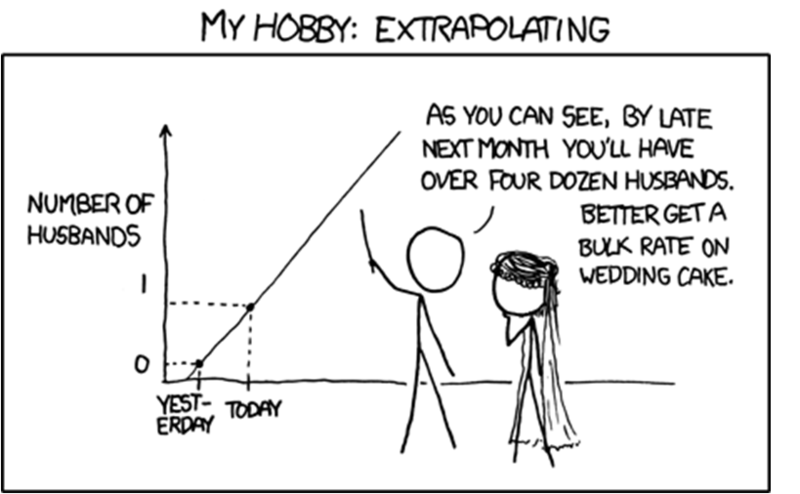 So learning still happened, just at a slower rate. External foci – may improve the ability for the body to coordinate movement synergistically, and link it to the environmental cues. Internal foci – may improve the technical proficiency of the player, allowing them to produce a movement which has a bigger margin for error (what I define as technical consistency). This would make sense as most studies are quite short-term, and we would more likely see a benefit from improved coordination than improved technique in a short time frame – hence the results of the studies. Lots of the research is not done long enough to see learners take the internal focuses of attention to the autonomous stage of learning (where they are not thinking about them much). 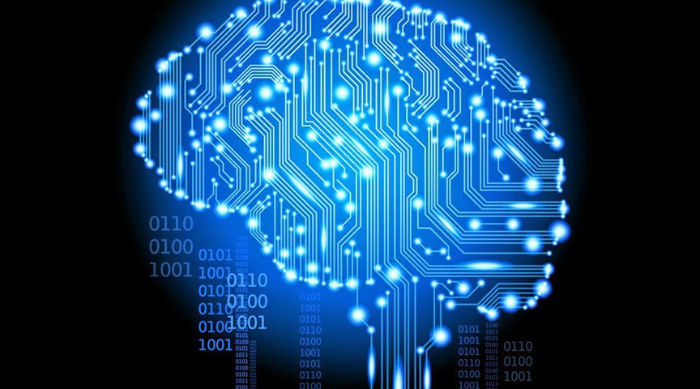 Thus, it could well be that, when enough repetitions have been put in, the learner starts to do the movement more automatically, and can then divert more brain-processing power towards the environmental cues. Just as a learner driver in Europe has to think about what their feet are doing and where the gear stick is during early stages of learning, but now focuses on the road. In fact, in terms of learning, it could well be that the initial benefits that an external focus of attention offers (from coordination improvements) could eventually stagnate when the player is held back by their technical inefficiencies. Another plus point for internal focuses of attention is that they can produce better quality movements quicker. 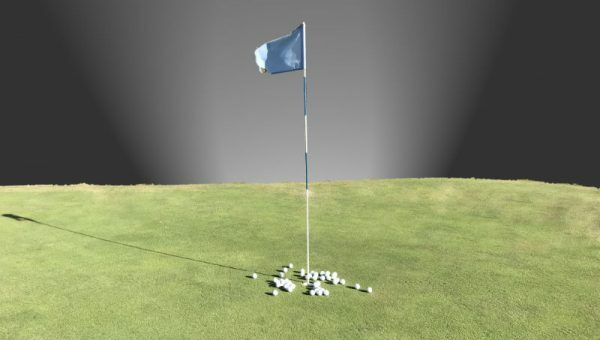 For example, when I learned to drive the ball 56 yards farther, I first had to learn how to increase my angle of attack to produce the desired ball flight. In the early stages of learning, I used an internal focus (body positions in set-up, as well as a feeling of keeping my upper body behind the ball). If I had simply been told to ‘launch the ball higher’ (external focus), I may have been able to do that with many different set-up positions, but my internal focus (along with my technical knowledge) allowed me to quickly arrive at and ingrain a more effective set-up for my goals. Essentially, internal instructions can sometimes allow us to arrive at a better answer more quickly. In 2014, Carson, Collins and Richards showed that focusing internally can reduce the variability of the variable focused on. We also know that the ability of the body to coordinate all of the other moving parts gets reduced (as Lohse, Sherwood and Healy found in 2010) – so there will be a trade-off. However, in some cases, this may be worth it. For example, in the case where the technique is so poor that no amount of coordination can save it, an internal focus may produce a technique which is so much better, that the reduction in coordination is completely offset. Also, when working with a long-term outlook (more than a year), improving the motion of a certain body part may force all the other moving parts to organize around it to produce a result. This may produce poor results initially, but when all the other pieces to the puzzle have arranged themselves, we may see a technique with more advantages than the old one. 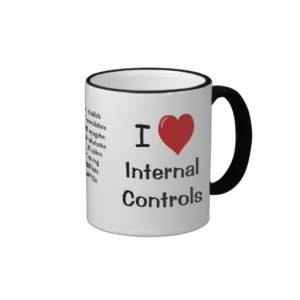 Performance losses are not always seen with internal focuses. 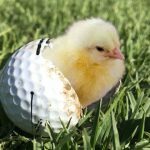 Depending on the unique blend of technical, mental and biological consistency a player brings to the table (CLICK HERE to read more about that topic), an internal focus of attention can definitely improve performance. Although it is much more common to see external focuses produce better performance, in order to find out, I use a specific testing procedure (performance training) which is outlined in The Practice Manual. This procedure allows us to give a much better indication as to how a certain attention will perform. 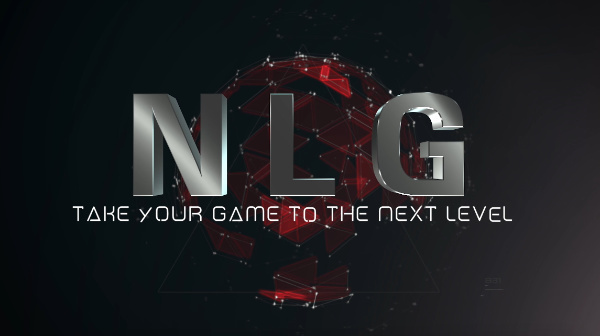 For more information on how thought processes can dramatically affect your learning and performance in golf, as well as information on how to improve skills, strategy, psychology, technique and more, check out Next Level Golf by clicking the image below. So, we can see that, while the science is quite overwhelmingly in support of not using internal foci of attention, I think there is a call to keep it in our repertoire. However, when we consider performance, transference and short-term learning (less than a year), internal focuses may be harmful. For this reason, using internal focuses of attention should be periodized away from important tournaments. If you are going to use them, they should be scheduled in with enough time to de-condition the mind, ready for maximal performance when needed. This is why players often go ‘off-the-boil’ when re-vamping their swings. In some cases, they never come back because they are never able to get out of the internal focus of attention. This is why hearing the phrase “I stopped playing golf and started to play golf swing” comes from the mouth of an ailing tour player way too often. Also, the 90%+ of golfers who play with an internal swing focus might want to branch out a bit and look at other types of focus which may improve their game quicker. I personally believe the whole golf industry is dominated too much by internally focused information, and I would like to see it become more balanced. I do use internal foci with my pupils, but I use it very sparingly, and make sure to get players back to a more external focus as soon as possible – or I try my best to get the desired technical changes via an external focus first. Lohse KR1, Sherwood DE, Healy AF.um Mov Sci. 2010 Aug;29(4):542-55. doi: 10.1016/j.humov.2010.05.001. Epub 2010 Jun 11. How changing the focus of attention affects performance, kinematics, and electromyography in dart throwing. 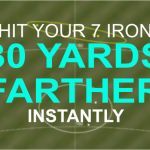 How to Hit Your 7 Iron 30 Yards Longer – INSTANTLY! Hi Adam, a real interesting read! Are there particular external foci you use on a day to day basis in your lessons? All very good for improving players. I have learned how to teach those foci very well over the years. Very good article. I relate to it by referring to intent versus thought and that it is not until we release our thoughts and allow an activity to just happen that we have a chance to get good at it; whether we are talking about walking, driving a car, or the golf swing. Of course, it is our fears that prevent us from truly letting go and trusting our senses. I often joke that when I am golfing at my best that it is not me doing it – it is just my body and senses – that I’m just along for the ride. However, when I am at my worst it is definitely me and my thoughts. Fact is, our senses have access to processing power that makes our ability to think primitive in comparison. Brilliant. The amount of well organized thought you put into this is really great. That’s brilliant – love it. A wonderful article/blog. Thanks for bringing attention to it again with your regular email (I am a new devotee!). I’m glad that 2/3 of the way through you started to discuss a balance between the internal and the external. I agree with external focus but I can’t believe it is always best. Can I ask a question based on personal experience. The sport I was good at (basketball) and the sport I was decent at (tennis) are both quite technical sports but not, I’m finding, as much as the sport I’m still struggling at (18 handicap golfer!). In both basketball and tennis I found that the key is to “internalise” the mechanics until they are ingrained and then to have a very few “keys” to allow primarily external attention. So, for me, I always needed to get a good follow-through on a jump shot. Two other good shooters I’ve discussed this with had “elbow in” and “get feet set” as their respective keys. As golf is “static” (you get to choose when to swing), I expect it is possible to have as many as three keys in a golf swing (albeit 1 or 2 should be set-up / alignment keys). So, I’m trying to reduce my current set of 7 or 8 technique keys to 1 or 2 (I’ve been playing for about four years). Do you think I’m on the right track? Or do you advocate getting to a totally external “hit the ball from here to there” focus? The latter would be akin to Tim Galway’s “Inner Tennis” concept from many years ago. I’m not sure I quite buy that!! Sounds like you are on the right track. We may need different types of focus at different stages of learning. The problem is, most golfers get stuck in internal thought processes and never get out. If players perform well with these focuses, then that’s fine. But, in my experience, greater long term growth and control is developed when a “task” focus is taken over a “movement” focus. A great article Adam. 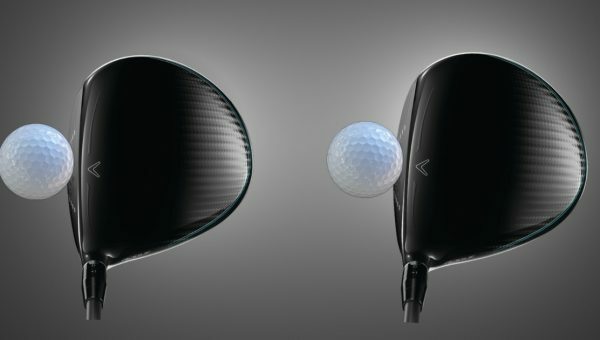 I have been working with a professional who’s spends 80% of his time teaching others technique changes (internal focus) and then struggles getting his own game on track because he is always focusing on the internal mechanics of the swing. Your article may help me prove what I have been trying to get him to see for ages that he needs change his focus of attention to external when he is playing. It’s not uncommon that a player gets to a high level learning externally. Then, when they turn to teaching, they learn a lot of the internal mechanics of the swing and their own game goes south. 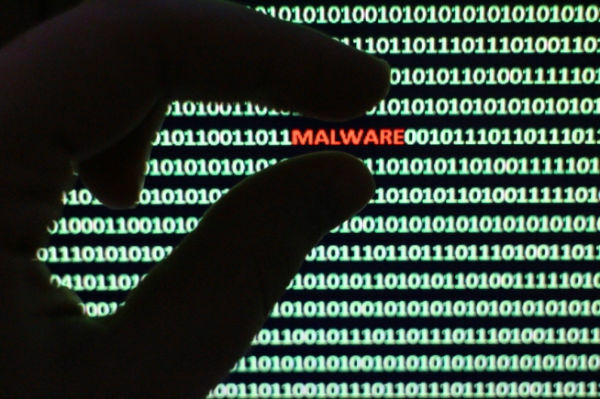 Obviously many factors involved, but it’s interesting.